For the fifth year in a row now we've been growing vegetables with nothing but stored rainwater. The goal is to demonstrate that even in areas of persistent drought (like California), plants can be made "drought-resistant" with just a little planning and preparation. 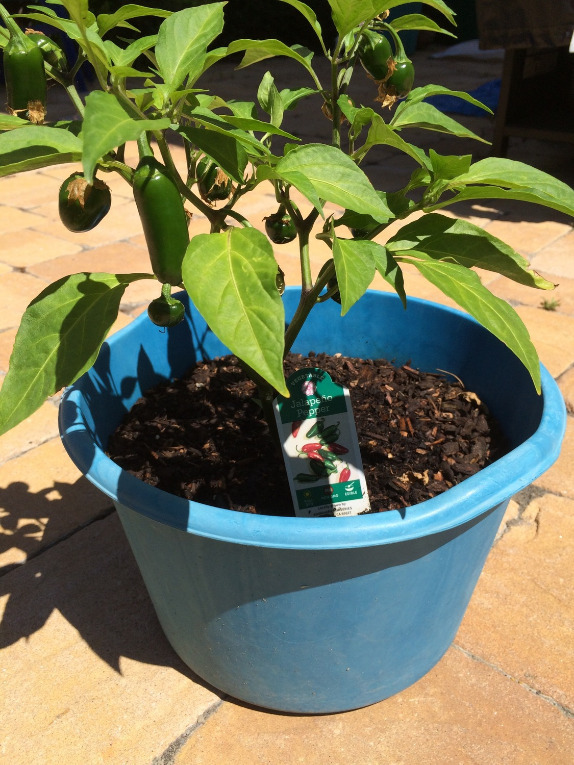 From our first detailed experiment in 2011 to our current batch of tomatoes and jalapeno peppers (see photo) we've had no trouble proving the point. From backyard gardeners to small plot farmers, an appropriately sized RainSaucers system can completely cover one's watering needs*, even if there is no significant rainfall from planting to harvest. *Note: we always hand water or drip irrigate and use mulch to prevent evaporation.